John Peter Zenger: This man published the New York Weekly Journal in the 1700s. He wrote unflattering things about the British government, and in 1735 he was arrested and tried for libel. He was found not guilty, since what he wrote was based on fact. His case not only helped influence the American Revolution, but established one of the litmus tests for libel. Benjamin Franklin: We know that Benjamin Franklin had a lot of interests. But many people don’t realize that the inventor and founding father was also a journalist. His The Pennsylvania Gazette began in the 1730s, and Franklin used it to help get his ideas out there and influence the populace leading up to the American Revolution. William Randolph Hearst: Hearst was well known as one of the biggest publishers and journalists of his time. He started with The San Francisco Examiner, and went from there. Hearst was one of the instigators of “yellow journalism” which started a whole branch of journalism that involved sensationalism. Joseph Pulitzer: This man is so famous that his name is on the prize given for the best journalism contributions. Joseph Pulitzer wrote for newspapers and later purchased and ran the New York World. After it became obvious that his circulation war with Hearst was becoming problematic for the sensationalized stories, he gravitated toward truth in journalism. He was indicted for libel when he exposed an illegal payment to the French Panama Canal Company, but since the story was based on fact, the indictment was dismissed. Tom Wolfe: In the 1960s and 1970s, news writing and journalism underwent a bit of a transformation, and was called “new journalism“. One of those at the forefront was Tom Wolfe. This was magazine journalism, and Wolfe helped established a style that was carried on in long-form narrative, using scenes rather than straight-out facts. Hunter S. Thompson: Like Wolfe, Hunter S. Thompson was heavily involved in the new journalism movement. He was a proponent of “Gonzo journalism“, in which reporters actually become involved in action of the story, participating in the events, rather than just watching and reporting. He recently committed suicide (in 2005), but his influence on journalism and literary tradition remains strong. Woodward and Bernstein: Admittedly, these are two separate people. But they are forever linked by their stories that brought then-president Richard Nixon down over the Watergate scandal. Bob Woodward and Carl Bernstein are well-known for their investigative journalism and for proving that it was still possible for the press to effectively hold the government accountable. Helen Thomas: This woman is the first lady of print journalism. Helen Thomas is a veteran journalist in the finest tradition, and has been a White House reporter since 1961. She is known for her relentless questions, and for her ability to get to the heart of the matter. Thomas gained new influence and prominence during the administration of George W. Bush for her sharp questions and criticisms. Robert Novak: A moderate/liberal turned conservative, Robert Novak was known for his columns and stories in a variety of newspapers. He was a reporter and later became a Washington insider. He helped play a role in CNN when it was founded, bringing the credibility of print journalism to broadcast journalism. He died in 2009 after a battle with a brain tumor. Judith Miller: One of the most famous journalists of our time is Judith Miller. She was known for her exclusive stories with Ahmad Chalabi in the run-up to the Iraq War, and for her breaking news stories. She is a Washington insider with contacts in high places. Miller gained increased, er, press when she went to jail over the Valerie Plame scandal when she refused to reveal her sources. Seymour Hersh: Recognized as one of the best investigative journalists of the current era, Seymour Hersh is known for his exclusive military contacts, and for his hard-hitting pieces. He is meticulous, and writes for The New Yorker, and his influence helped reshape the debate over the Iraq War. Maureen Dowd: As the only female op-ed writer for The New York Times, Maureen Dowd has significant influence. Her ideas are polarizing, though, and that makes for interesting debate. Dowd is known for her beginning as a gritty reporter, and is now known for her Washington contacts and her ability to influence debate. Television and radio changed the look of journalism. There are many broadcast journalists who have influenced journalism, and even the world. Edward R. Murrow: The most distinguished figure in broadcast journalism in the U.S. is Edward R. Murrow. He developed many of the techniques associated with newsgathering for broadcast. His integrity, and his willingness to go up against the “powers that be” was a mark of his career. He influenced public opinion and even policy by exposing the abuses of power in the government. Walter Cronkite: Another icon of American broadcast journalism, Walter Cronkite was known for his investigative journalism, fulfilling his watchdog role, and for his matter-of-fact way of delivering the news as a CBS anchor. He died in 2009. Ted Koppel: Many of the most influential journalists have been TV newsmen, and Ted Koppel is no exception. His newscasts and his newsgathering was a standard of journalism for years. Koppel hob-nobbed with decision makers and interviewed the powerful. Now retired, he hosts a show on Discovery. Dan Rather: Early in his career, Dan Rather was known for his investigations, and for his meticulous newsgathering. He was influential, interviewing the politically powerful, and for exposing government cover-ups. However, a snafu over false documents related to George W. Bush tarnishes his career. Barbara Walters: As one of the most influential broadcasters is Barbara Walters. She was one of the first women to become a successful broadcast journalist. She started as a research and writer, and soon worked up to become an interviewer and one of the faces of television. Tim Russert: Well known for his ability to get the powerful decision makers to explain themselves, Tim Russert is considered one of the most influential broadcast journalists. In order for aspiring Washington insiders to get anywhere, they first have to appear on Russert’s “Meet the Press” and answer questions. Wolf Blizter: One of today’s most influential broadcast journalists is Wolf Blitzer. He is seen everywhere, and is one of the most well-known insiders in Washington. Indeed, his shows and his ability to be heard makes him a force to be reckoned with. Gloria Borger: As one of the broadcasters known for exposing the machinations of Washington, Gloria Borger is quietly influential. Her stories are aimed at helping people understand what is going on, and she is a CBS correspondent and PBS commentator. Katie Couric: Katie Couric is the first female anchor of a major network’s evening news. She has appeared on 60 Minutes and done a great deal in terms of journalism. Now, she anchors the CBS Evening News. She interviews the powerful, and reaches hundreds of thousands in their homes. Cokie Roberts: As someone raised in Washington, and well-acquainted with life on Capitol Hill, Cokie Roberts is an adept at exposing the excesses in government, and offering reason and moderation. Her broadcast career encompasses ABC and NPR, and she also writes a syndicated column. 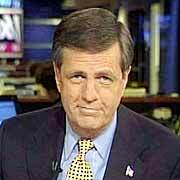 Brit Hume: Fox News isn’t exactly known as a bastion of actual journalism, but Brit Hume, the anchor of Special Report is known for his hard work and integrity. He is recognized as influential, as his weeknight show was the #1 political program in its time slot. He stepped down, though, after saying that he lost his enthusiasm for the job. Jim Lehrer: The venerable Jim Lehrer is know as the most thoughtful broadcast journalist right now. His PBS newscast is known for its insight, and he is respected by his peers and by decision makers as someone with integrity, savvy and good sense. Anderson Cooper: First rising to prominence as a reporter for CNN during Hurricane Katrina, Anderson Cooper is known one of the most influential broadcast journalists around. While he hosts his even show from New York City, he often still travels to report on breaking news. He interviews the rich and powerful, and many enjoy watching his newscast. His “everyman” persona, combined with his classic attractiveness, is one of his most powerful assets as a journalist. This entry was posted in Journalists, People and tagged American Revolution, Bob Woodward, Journalism, Richard Nixon, Seymour Hersh, William Randolph Hearst. Bookmark the permalink.